Human Cannonball or "Idol" Reject? That's decision facing fairgoers at the Hickory American Legion Fair in Hickory, N.C. today. 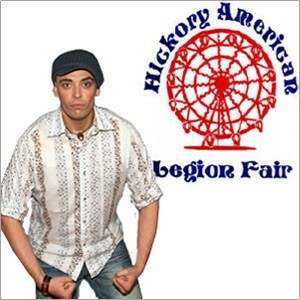 "Idol" wannabeen Phil Stacey headlines the fair tonight at 9:00 PM -- the same time David Smith the Human Cannonball is set to perform. Don't worry -- the chainsaw art show is at 7:30, so you'll have plenty of time to catch it.